The Trash Can: I AM GOD! 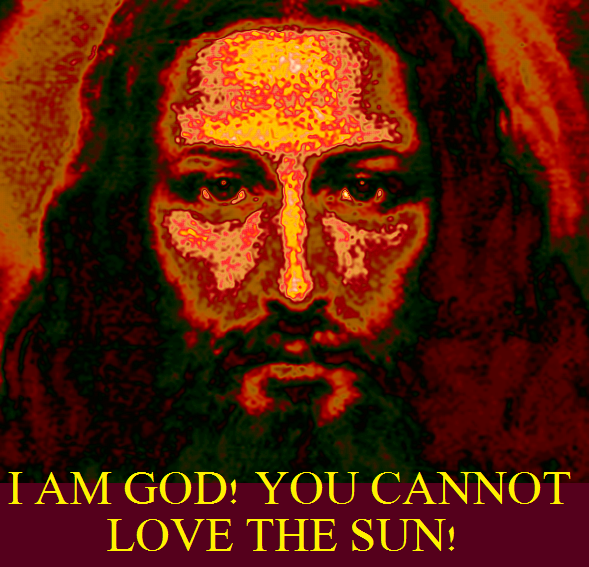 YOU CANNOT LOVE THE SUN! EVERYBODY EXPOSED! GET TO KNOW ME! 2 The kings of the earth band themselves, and the Princes are assembled together against the Lord*, and against his Christ. 7 I will declare the decree: that is, the Lord* hath said unto me, Thou art my son; this day have I begotten thee. 11 Serve the Lord* in fear, and rejoice in trembling. 12 Kiss the Son**, lest he be angry, and ye perish in the way, when his wrath shall suddenly burn. Blessed are all that trust in him. **JESUS: God, manifested in the flesh/sinless human capacity. JESUS means 'I AM Salvation'. JESUS is 'I AM' in the capacity of Savior. 2:45 Dit lied is VERKRACHT! Men was zeker bang dat het anders niet zou verkopen, want de originele tekst verwijst crypisch naar God!